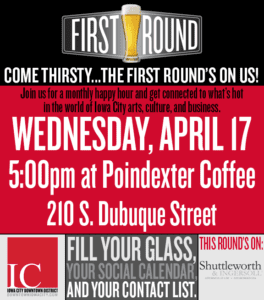 Join us on Wednesday, April 17th, 2019 at Poindexter Coffee! The event will begin at 5:00pm and our host will begin interviewing guest speakers around 5:30pm. One of our guest speakers will be Jon Darsee. He is the Chief Innovation Officer leading the UI’s research commercialization and economic development activities, which includes UI Ventures, Protostudios, the UI Research Park, the Office of Corporate Engagement, and MADE. Joining him will be Mark Nolte, the President of the Iowa City Area Development Group, who works to grow new companies, support existing firms and attract new businesses to ICR Iowa. Come hear what they have to say! Get the opportunity to meet new people, socialize, and see what’s new in arts, business, and culture in our community. 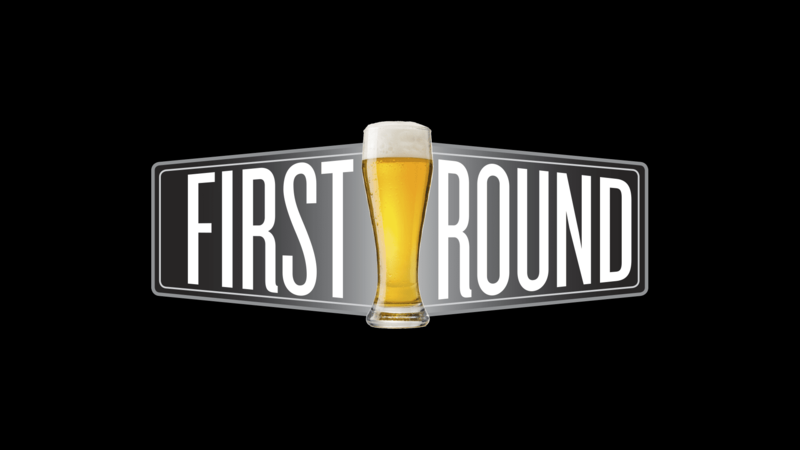 April’s first round is on Shuttleworth & Ingersoll, P.L.C., so come say hi and have a drink! *Recommended parking will be at the Dubuque Street Ramp.